Today we're heading out of the cities and into the crunchy side. 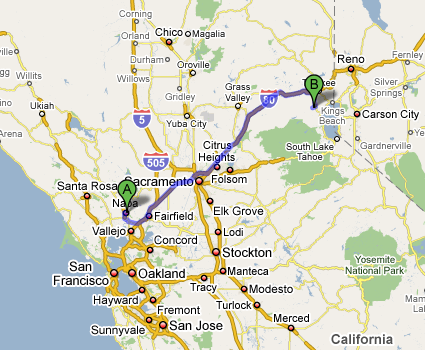 We've got a 166 mile trip from Napa to the edge of Lake Tahoe to cover. It'll take about 3 hours, but we'll obviously stretch it a bit and take in the sights. Might even stop in Sacramento to see what's potting.